In 1956, a small group of people who were interested in starting an Episcopal church in Mentor began meeting in the homes of Mrs. Krueger and Mrs. Eleanor Garfield. On November 30th of that year, they petitioned Bishop Nelson Burroughs to be accepted as a mission of the Diocese of Ohio. The Bishop sent Archdeacon Wonders to a meeting held in the Mentor Village Hall where he explained the church canons to the 30 people attending. He also sent Reverend James Johnston from Grace Church to help organize a mission. 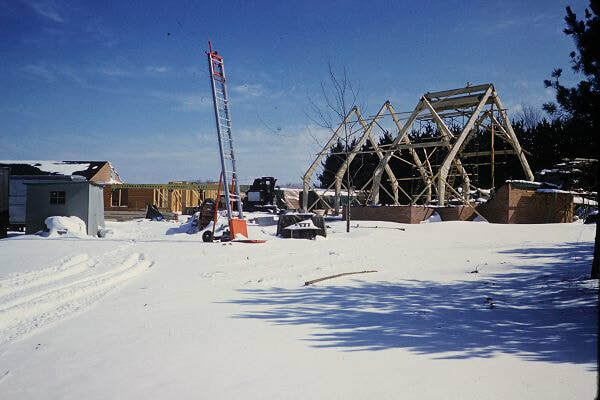 The first service was held on December 2nd, 1956 at Mentor Christian Church at 1:30 pm. Mr. A. Arnold, a lay reader from Grace Church, officiated. Fifty-five people attended the service. Services were held at that location until September of 1957. The name, Saint Andrews, was chosen partly due to the Reverend Andrew Gill, a retired clergyman, who came in January of 1957 and stayed until June. On July 1st, 1957, the Reverend Bill Worman and his family arrived. The small group of worshippers rented Pythian Castle on Jackson St. from October 1957 to June 1960 for $75 a month. In January of 1958, Saint Andrew was admitted as an organized mission of the Diocese of Ohio, and it was incorporated on May 5th of that year. In 1959, $9,000 was collected to start a building fund and the building plans were commissioned. The site for the new church on Little Mountain Road was purchased by the Diocese. Some of the trees that were cleared from the site were sold to raise money for the project. The ground breaking was held on September 27th, 1959. In 1960, with a building fund of $20,000, a professional fund raiser was hired hoping to raise $40,000. A Loyalty Dinner held at the Kirtland Country Club resulted in pledges of $60,000. The final amount pledged was $80,000. The architect proposed a first phase to cost $120,000 and would seat 192 people and 23 choir members. The second phase would expand it to full size with searing for 330 and a choir of 50. 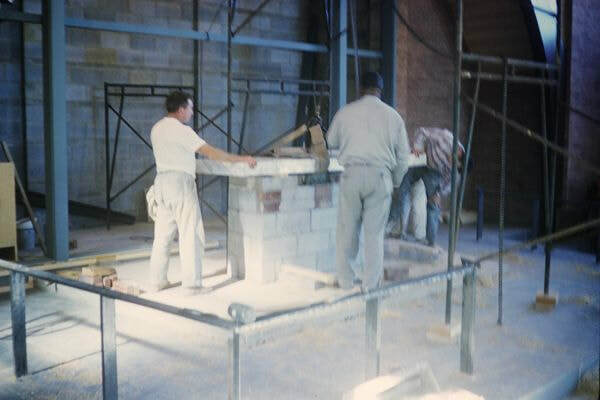 It was decided to build the whole church and add 13 feet to the Parish Hall for a total cost of $300,000. 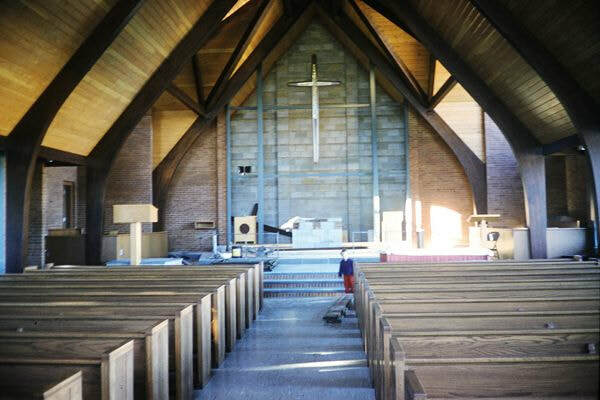 ​The main part of the building was completed in 1960, and in June of that year, services began in the Parish Hall. On September 18th, the first service was held in the Nave. The formal dedication of the church was held on October 23rd, 1960. By 1964, Saint Andrew had 772 members, and they began planning to become a parish instead of a mission. On January 29th, 1964, Saint Andrew was admitted as a parish at the Convention of the Diocese of Ohio.